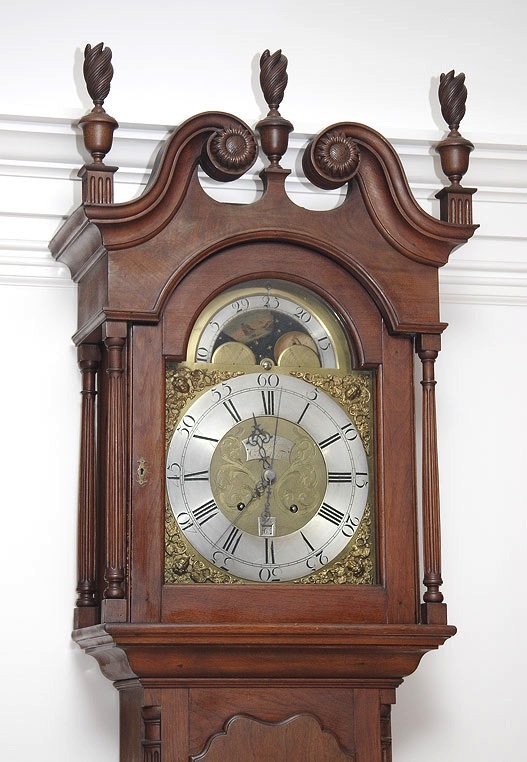 This is the earliest known Carlisle tall clock. Made by John Greer and dated 1772 on the beautifully engraved brass dial, it is now in the Cumberland County Historical Society, having been purchased for the society by the late Pierson K. Miller. The feet and finials were missing. I recreated them in the style of similar Carlisle tall clock cases of the period and finished them to blend in with the mellow old finish.